The term “cafe racer” gets thrown around a lot these days. 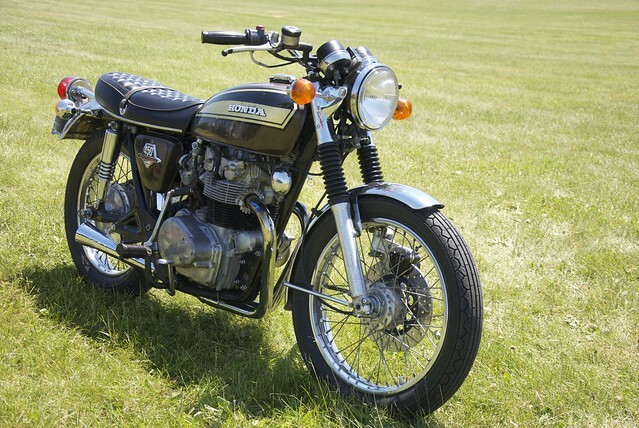 For some, it’s a small cross-section of vintage British motorcycles. For others, it’s a particular look. For us, it’s more of an ethos. A café racer is more than just a motorcycle, it’s a kind of motorcyclist. Specifically, its a kind of rider who wants to take a motorcycle and transform it into the high performance, gorgeous machine it always deserved to be. Sometimes it’s as simple as lower handlebars and a better seat. We prefer fully tuning the engine, upgrading the suspension and overhauling the braking system — turning unassuming standard motorcycles into high-performance speed machines. However tame or extreme your project, we can take it from start to finish, or help you anywhere along the way. So whether you’re finally ready to build that XS650 bobber you always dreamed of, or you just found a Norton Featherbed frame in your uncle’s barn, or you’d just like to take all the unneeded crap of your modern Triumph Bonneville, we can make it happen.